One other feature of the Langematik Gangreserve that I forgot to highlight in my post last week is that it came in a gorgeous wooden box as shown in the photos below. 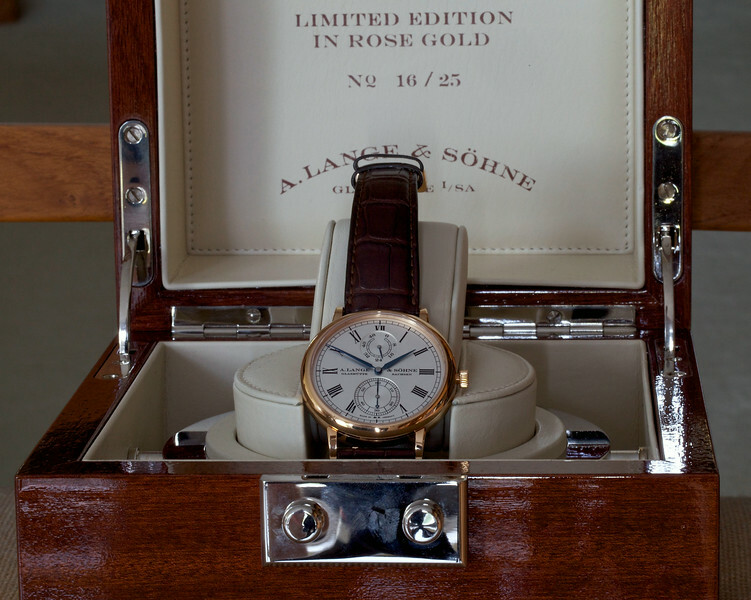 All of the other Lange watches that I have came in a leather box. 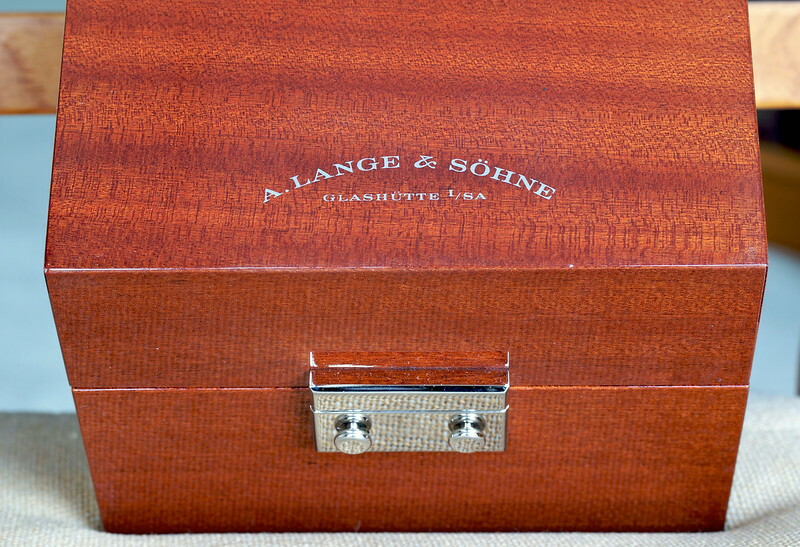 Are there any other watches by A. Lange & Söhne that were issued in other than leather boxes? Show us photos if you have them!